There’s plenty of disagreement over the origins of the word ‘tapas’ but the most popular theory is that it comes from ‘tapa’, the Spanish word for cover or lid. It’s said that drinkers in 18th century inns would cover their glasses with slices of bread to keep the flies out, and that these evolved into the delicious little plates of food we know today. Whatever the origin of these Spanish dishes, tapas is an undeniably appealing way of eating. In Spain the tradition of meeting friends and moving from bar to bar, enjoying a drink and a snack in each, is a great way to spend the evening but it’s a fun way to eat at home too. With this collection of tapas recipes, you'll not be short on inspiration. There’s no more classic tapas than croquetas. José Pizarro is rightly feted for his Croquetas caseras, which are a masterclass in contrast, with a crisp panée and an oozing, creamy béchamel filling. For the more adventurous, his Octopus with baby potatoes is another signature dish that’s bound to impress. Or keep it simple with a simple Spanish omelette. Done right, the traditional tortilla española elevates its humble ingredients of eggs, onions and potatoes to whole new level. Barrafina chef Angel Zapata-Martin serves up a host of classic dishes. 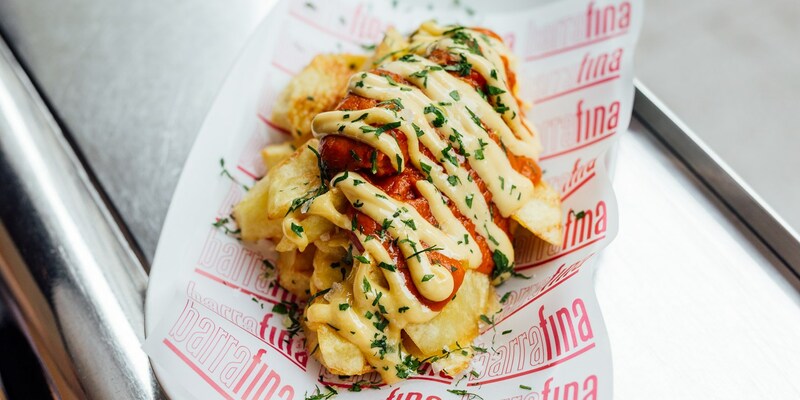 Check out his patatas bravas, pan con tomate and ensaladilla rusa for an exceptional tapas spread.